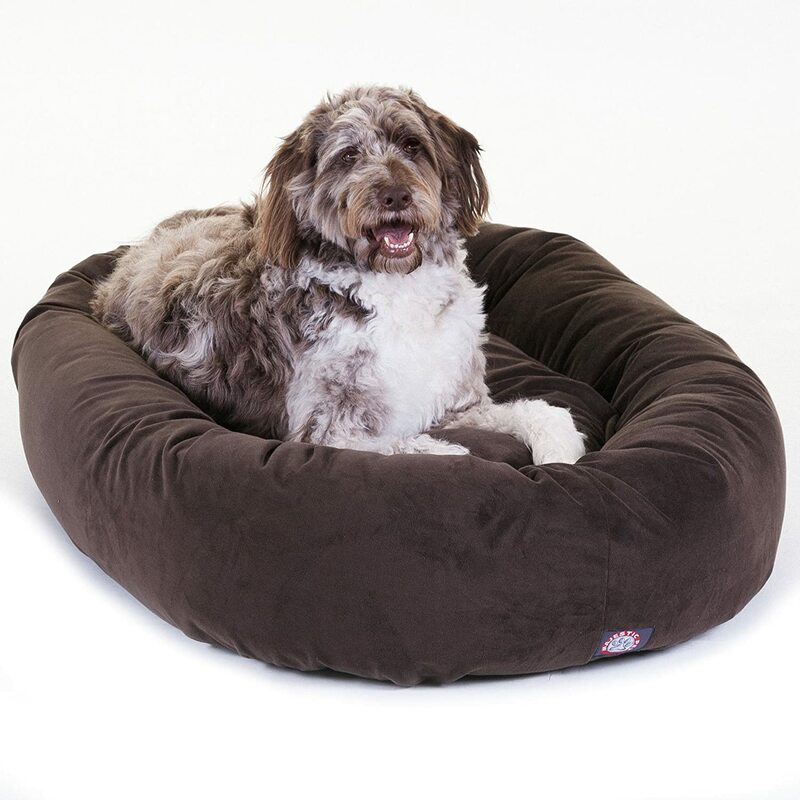 A brand new Extra Large 52" Bagel Style Pet Dog Bed from Majestic Pet Products (Outside Dimensions 52"x36"/Inside Dimensions 46"x30"/Bolster 14" High/Cushion 10" High). You will not find a more luxurious pet bed, especially when your puppy finds himself surrounded by a plush bolster that's made for leaning against for those long naps. It's made of the finest materials available: a base of heavy duty water proof 300/600 Denier, the Bolster and Cushion are a durable faux suede and stuffed with a Super Premium High Loft Polyester Fiber Fil. Fully machine washable; just place the entire bed in a oversize washer on gentle cycle & air dry. (Extra Large recommended for dogs 70 to 110 lbs).